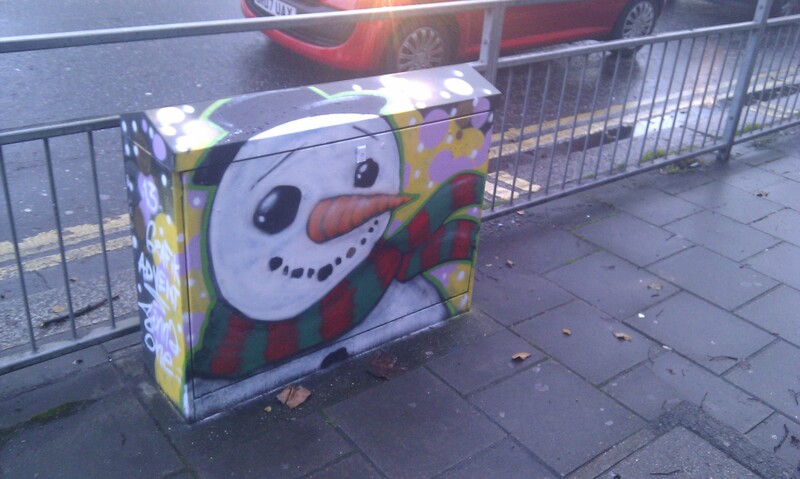 So here we are with more installments of the Grafik Warfare Advent Calendar Street project. 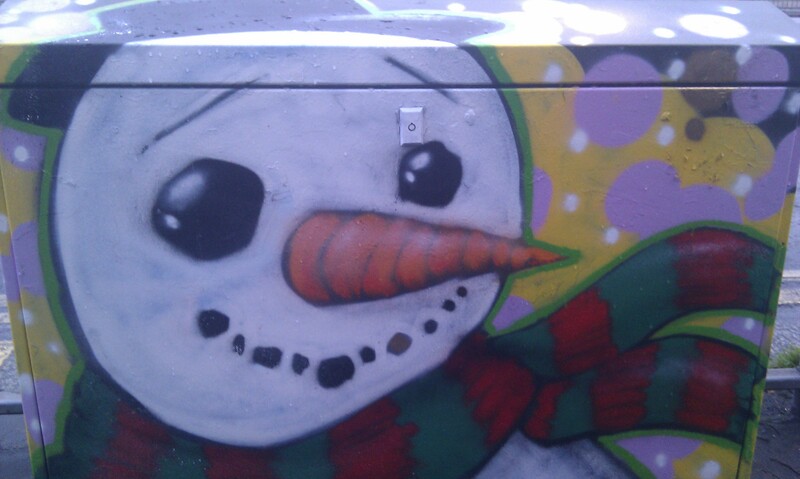 Dec 13th sees a Sinna One Snowman in the mix, but no sign of snow just yet. A lot of rain, wind and very cold weather, but no snow. We also introduce ENNUI to the project and he serves up a rainbow delight. The artist formerly known as Women 158, never fails to impress with his distinctive style and fantastic women characters. Rocking these boxes out in the freezing cold and dealing with dwindling light, he chooses some bright outline colours to cheer up the dullest of days. 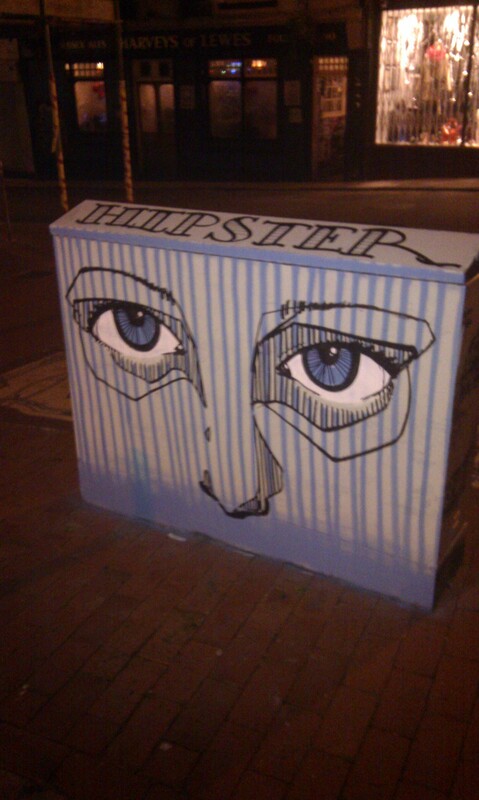 The last few days has also seen a guest appearance of new young artist, Hipster. Using emulsion and pen on the box as an alternative to sprays. Hipster is just as talented with spray paint as he is with any other medium and I’m sure you shall see more work by him in future. Better pic of this to follow. 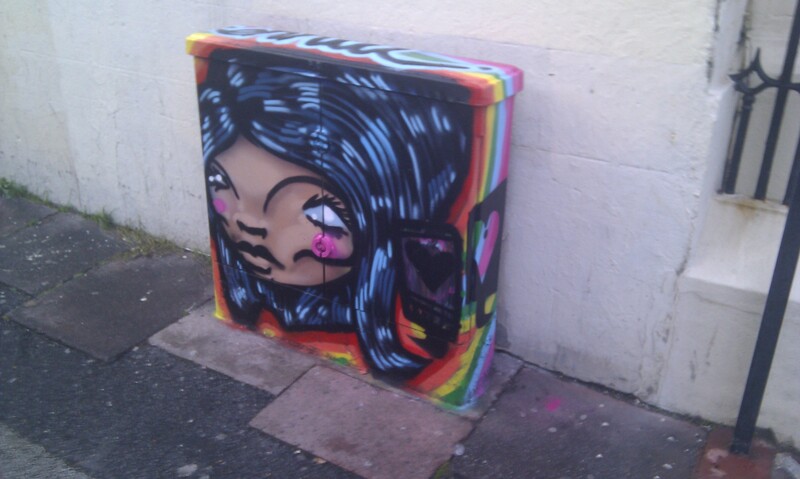 There are still plenty more boxes to be seen around Brighton. Req 1 has been doing some beautiful photorealism of his model Alice. Once I get pictures there will be a post devoted to it.